At City Orthodontics, it’s our goal to offer a comprehensive selection of orthodontic treatments to all those in and around Toronto. We understand that every patient is different, which is why we strive to provide the latest in state-of-the-art technology so that we have a treatment to meet the needs of each of our patients. Whether you’re looking for standard metal braces or something more advanced and discreet, like Invisalign, we’re sure to have the perfect orthodontic treatment for you. The treatments that we utilize in our Toronto office include the following. These are the most common types of braces and the ones that you generally think of when orthodontic treatment comes to mind. Modern metal braces consist of high-quality stainless steel and are much smaller and more comfortable than braces of the past. These braces are great at treating complicated orthodontic problems and prove to be a reliable, effective, and economical treatment plan. While ceramic braces are similar to metal braces and use the same components, there’s one clear difference between the two – the brackets are made of a ceramic material that will blend into your natural tooth color. 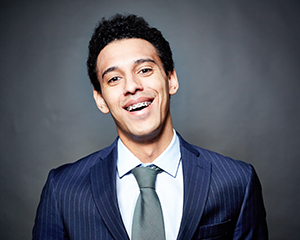 Ceramic braces are a popular option for adults because these braces are barely noticeable to others. Instead of straightening your teeth with brackets and wires, Invisalign uses a series of custom-made, clear aligners to shift your teeth. Because these aligners are clear, they offer a virtually discreet orthodontic treatment, making it an incredibly popular treatment option for adults. In addition, these aligners are also removable, meaning that you can take them out for eating, for cleaning your teeth, or for any other important occasion. These aligners aren’t only comfortable, but they’re effective as well. As your Toronto orthodontist, we’re capable of treating a large range of orthodontic problems with Invisalign. If you’re interested in any of our braces or Invisalign, please feel free to give us a call at (416) 222-3223. If you have any questions or comments, we encourage you to contact us. We hope to hear from you soon and help put you on the path toward a straighter and healthier smile!